Kahler Automation Limited Warranty. To the extent any Work is actually contracted for, Kahler Automation will warrant that all Work shall conform to and meet the requirements as expressly set forth in the final Equipment Purchase Agreement as signed by the parties, and shall agree that the Work will be performed by persons skilled and experienced in their respective trades, crafts, profession as applicable, and will conform to the applicable standard of care and shall be free from all material defects for a period of one (1) year beginning on the earlier of: (1) First day of operation of the project facilities, or (2) the last date on which Kahler Automation completed its services on the Work (the “Limited Warranty Period”). This Limited Warranty shall be limited to the repair or replacement of defective parts of the Work without charge and to providing such labor and installation services as shall be required to replace defective parts or equipment. All purchased components are subject to the Manufacturer’s Warranty Policy, and in no manner can Kahler Automation grant any warranty beyond that which is offered by said Manufacturer of product. In no event shall Kahler Automation be responsible for any failure caused by fire, flood, war, riot, civil commotion, settling or shifting of walls or foundations or components, abuse, vandalism, criminal acts, misuse of equipment, power fluctuations, failure of electrical power, other utilities or environmental controls, non-dedicated electrical circuits, unauthorized attachments to or modifications of equipment. All labor performed pursuant to this warranty must be performed by Kahler Automation’s authorized service person. 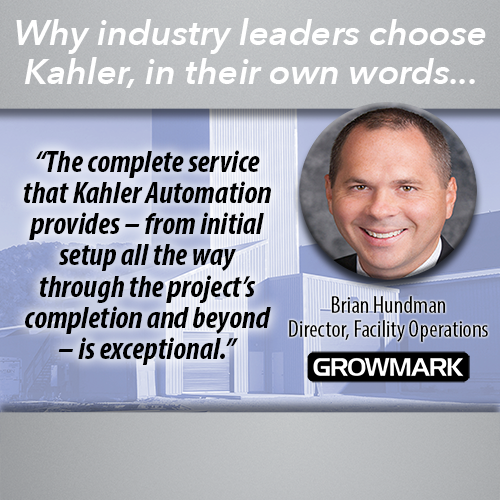 No product should be returned to Kahler Automation without the written authorization of Kahler Automation. 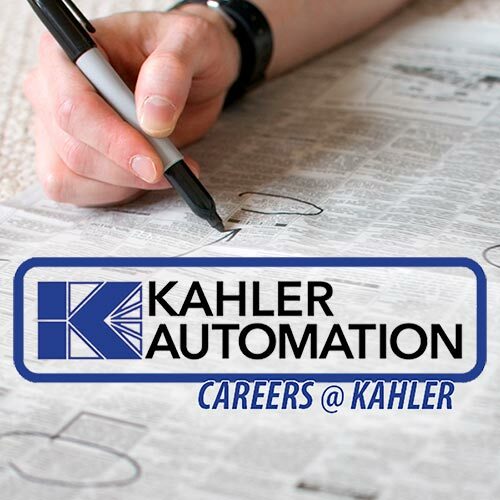 No person, agent or dealer Kahler Automation has authorized can give, on Kahler Automation’s behalf any additional warranty other than as set forth herein or assume for Kahler Automation any liability pertinent to equipment supplied under the work or sold hereunder under any circumstances. THIS WARRANTY IS EXPRESSLY IN LIEU OF ANY OTHER EXPRESS OR IMPLIED WARRANTIES, INCLUDING ANY IMPLIED WARRANTIES OF MERCHANTABILITY OR FITNESS FOR ANY PARTICULAR PURPOSE, AND IS IN LIEU OF ANY OTHER OBLIGATION ON THE PART OF THE SELLER. THE PARTIES AGREE THAT IN NO EVENT SHALL KAHLER AUTOMATION BE LIABLE TO THE OWNER, A USER OR ANY THIRD PARTY, FOR LOSS OR DAMAGE TO PROPERTY RESULTING FROM FAILURE OF KAHLER AUTOMATION EQUIPMENT AND WORK TO OPERATE OR TO FUNCTION PROPERLY, OR FROM THE USE OR MISUSE OF SOFTWARE PROVIDED, NOR FOR ANY INDIRECT, SPECIAL OR CONSEQUENTIAL INJURY OR DAMAGES RESULTING THEREFROM.